The BBC’s plans to extend the availability of box-sets on its iPlayer on-demand service, and other planned changes to iPlayer are “material” and require the BBC Board to undertake a public interest test, according to UK media regulator Ofcom, in a ruling that contradicted the pubcaster’s board’s own assessment of the impact of the proposed changes. The BBC wants to offer a substantial number of box-sets of series, over and above those currently available on iPlayer, for an extended time period as part of a series of changes to make the service more attractive and useful to users. 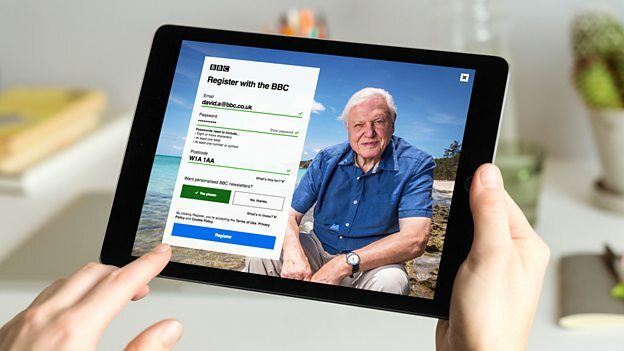 The pubcaster also plans to offer greater personalisation and to increase the amount it spends marketing content on the service as part of a revamp of iPlayer to match changing viewing habits. In contradicting the BBC Board’s conclusion that the changes did not constitute a “material change” to iPlayer and therefore did not require a more extensive public interest test, Ofcom focused on the BBC’s own estimates that its plans could increase iPlayer’s share of video-on-demand viewing substantially in 2018-19 over the service’s share in the preceding year. “Having reviewed the BBC’s figures, we consider that if its proposals were fully implemented, the impact on share of video-on-demand viewing may be towards the upper end of its projected range,” the regulator said in its assessment. Ofcom said that there was “a risk that this increase in viewing to BBC iPlayer could come at the expense of its competitors – particularly other UK video-on-demand services such as ITV Hub, All 4, My5 and Now TV”. The watchdog said that advertiser-funded and subscription video-on-demand services could be “squeezed and find it harder to make money from their own content”, citing the example of ITV’s plans for its own ITV Hub service. Ofcom has directed the BBC to conduct a public interest test to “ensure that any legitimate competition concerns and potential market impacts are fully considered by the BBC, alongside the public value benefits”. The regulator has also demanded that the BBC look at incorporating further plans to develop iPlayer after 2018-19 into the test by the end of this year to reduce the need for further regulatory intervention. Ofcom has stopped short of calling for the BBC to cease making any changes to the iPlayer in the interim, which it said would be normal practice in these cases. Instead, it said it would allow the pubcaster to make some limited changes and allow the BBC to use rights it had already acquire to enable licence-fee payers to benefit from this investment. The BBC will therefore be allowed to retain any rights it has already added to iPlayer since the start of the 2018-19 year and add any series it acquired before the date of the Ofcom decision. For future years, the BBC will be allowed to make some new and archive series available as box-sets, but for shorter time periods than the BBC has proposed. “BBC iPlayer is vital to our audiences, particularly younger ones – it’s the way they increasingly consume content. Our approach is simply about making the iPlayer a better experience for users with the great British content they love – such as The Bodyguard, Killing Eve, and Blue Planet II. The reality is that we are operating in a UK market which has changed fundamentally with the advent of global tech giants who have deep pockets but do not reflect Britain and all its diversity. That’s what we do and why the public love our content,” said a BBC spokesperson. Ofcom’s decision to demand a public interest test was foreshadowed a week ago in its first annual report on the BBC since becoming the broadcaster’s independent regulator, when it highlighted what it saw as shortcomings in the way the BBC had informed it of plans to change the iPlayer and accused it of being insufficiently transparent.